Calling All Kids! Friday is Play Day at the Playground! If you have kids that love playing with other kids, meet us at the St. Peter’s Church playground with your kids tomorrow (Friday) from noon to 2 PM! I’ll be there with my granddaughter, our picnic lunch, and a basket of sidewalk chalk. St. Peter’s Church has granted permission to an informal group of local caregivers of young children to have access to the Fellowship Hall restroom and be able to use the building for indoor group activities when the weather makes outside activities impractical. This activity is not being sponsored by St. Peter’s Church. They are simply allowing the community to have access to the facility. This is not a drop-off service or a Mother’s Day Out type of activity. Caregivers are responsible for their own kids. Bring games or arts & crafts activities to share. You don’t have to show up right at noon. A keyholder will be there for sure from noon to 2 PM. The schedule will probably change from time to time according to the season or church activities but it will always be announced in advance. Right now it is Mondays and Fridays from noon to 2 PM. We hope more parents will join us. It would be great to be able to add Wednesdays also! Even if you don’t have young kids at home, maybe you know someone who does. Please forward this story to them. If you have any questions, post a comment to this story and I will get back to you as soon as possible! 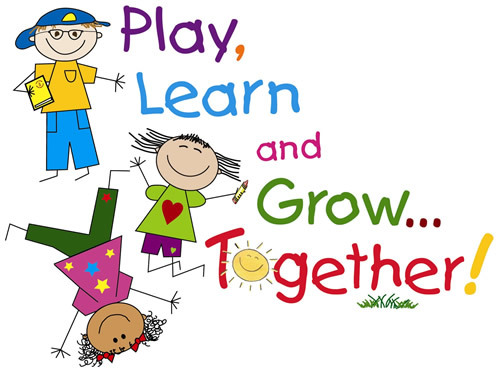 This entry was posted in Caregiver Connections and tagged play days, playground, St. Peter's Church on October 24, 2013 by Stewart Dale Spencer. 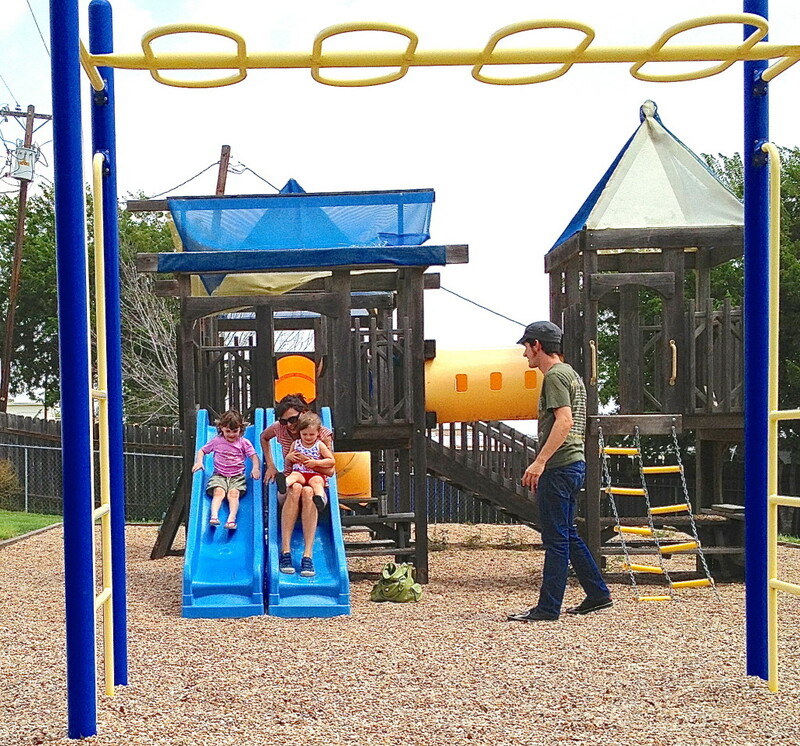 Announcing Play Days at the Playground! St. Peter’s Church has granted permission to an informal group of local caregivers of young children to have access to the Fellowship Hall so they can get their kids together for regular play time at the church playground. Kids and caregivers will have access to the restroom and be able to use the building for indoor group activities when the weather makes outside activities impractical. Get out of the house. Meet other caregivers. Let the children play! This activity is not being sponsored by St. Peter’s Church. They are simply allowing the community to have access to the facility. This is not a drop-off service or a Mother’s Day Out type of activity. Caregivers are responsible for their own kids. 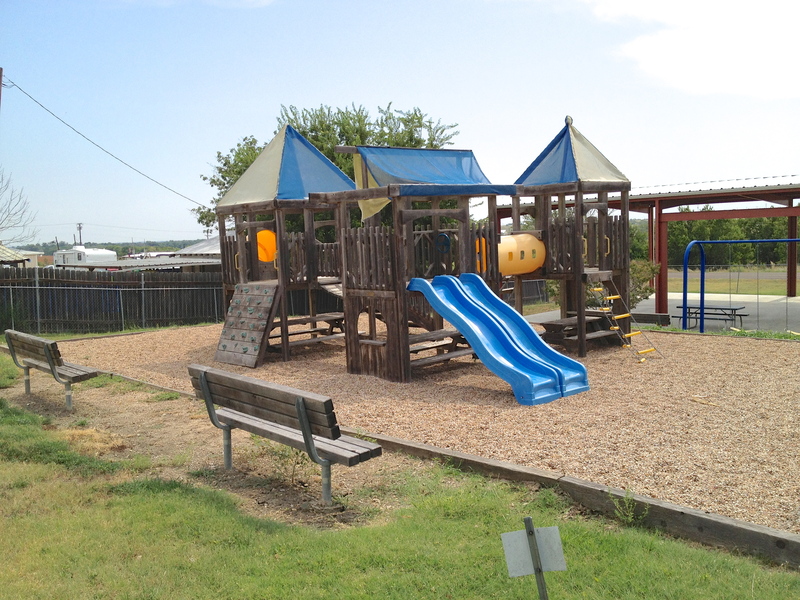 It’s not much different from parents getting together and taking their kids to the parks in nearby cities except that it’s right here in Coupland! 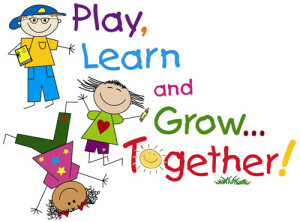 The initial schedule will be Mondays and Fridays at noon with a bring-your-own picnic lunch followed by play time. The first day will be Monday, October 21. If it’s rainy or cold, don’t despair! We will play indoors. Bring fun indoor games or arts & crafts activities to share. We figure that 2 hours is a good maximum for now. You don’t have to show up right at noon. A keyholder will be there for sure from noon to 2 PM. The schedule will probably change from time to time according to the season or church activities but it will always be announced in advance. We hope more parents will join. It would be great to be able to add Wednesdays also. The initial group consists of yours truly, Honey Eiben, and Mary Havens. Even if you don’t have young kids at home, maybe you know someone who does. Please forward this story to them. If you have any questions, post a comment to this story and I will get back to you as soon as possible! This entry was posted in Caregiver Connections, Social, What's New? and tagged Fellowship Hall, play days, playground, St. Peter's Church of Coupland Texas on October 19, 2013 by Stewart Dale Spencer.